Board-Certified Hair Restoration Surgeon Dr. Alan J. Bauman, MD, ABHRS, participated in the 14th Annual Vegas Cosmetic Surgery & Aesthetic Dermatology Symposium #VCS2018 as an inaugural Church & Dwight Viviscal Professional Luminary Board Member (NYSE: CHD). 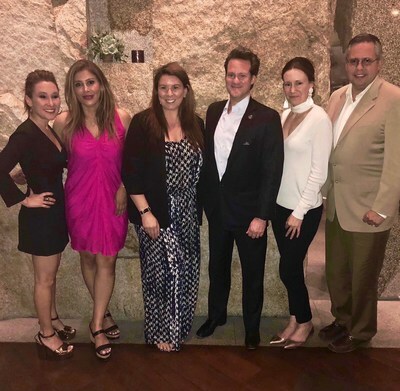 BOCA RATON, Fla., July 11, 2018 /PRNewswire/ -- Dr. Bauman formally met with the ViviscalPRO Hair Growth Program management team to share his expertise and help guide the organization on how to work most effectively with medical and beauty professionals to increase brand and product awareness among hair loss sufferers who would benefit from the program. Inaugural Church & Dwight Luminary Board Member and Board Certified Hair Restoration Expert Dr. Alan J. Bauman, MD, ABHRS met with the executive ViviscalPRO Hair Growth System brand management team (Lauren Dudek and Gianna Cesa) and other physicians during the 14th Annual Vegas Cosmetic Surgery & Aesthetic Dermatology Symposium to share his expertise and help guide how to best increase product education, compliance and awareness among hair loss sufferers. 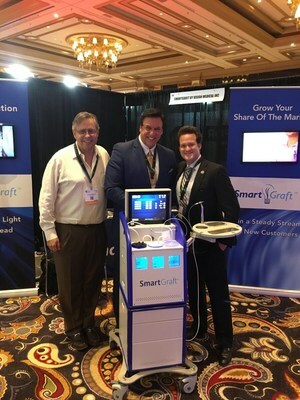 Board Certified Hair Restoration Expert Dr. Alan J. Bauman, MD, ABHRS met with SmartGraft’s executive leadership to help educate the cosmetic surgery industry about the latest and most effective medical hair loss solutions, including SmartGraft’s new FUE hair transplant device. Pictured: Dr. Alan J. Bauman, MD, Founder & CEO, Bauman Medical with Mr. Joseph Brown, Executive Vice President, SmartGraft by Vision Medical, Inc., and Mr. Andres Gonzalez, MBA, Business Development at Bauman Medical. By way of commitment and diligence over the past two decades, Dr. Bauman has earned the reputation as a Key Opinion Leader (KOL) in the field of hair loss treatments and hair restoration. Through his Bauman Consulting Division he established the opportunity to aid Fortune 500 Companies not only in accelerating their product research and service development cycles, but also in providing clinical support and validation of their goods and services. "I'm excited that Dr. Bauman joined our inaugural Luminary Board this year," stated Lauren Dudek, Director of Marketing of Church & Dwight Co., Inc.'s Viviscal Brand. "As one of our main initiatives, we are creating a circle of experts who have supported us over the years, and continue to grow those partnerships." 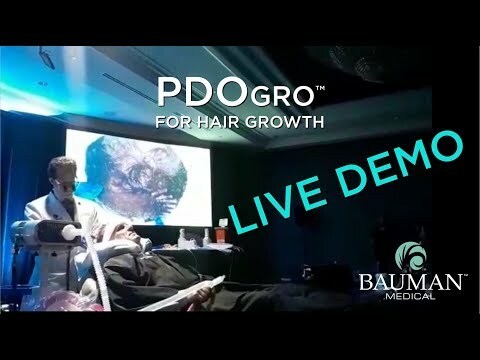 The audience and impetus of VCS2018 were ideal as they also afforded Dr. Bauman the ability to meet with Bauman Alliance Members BAM to educate them in bringing proven science-based hair loss solutions to the plastic surgery industry. Participating BAMs included Church & Dwight, SmartGraft by Vision Medical, Healeon Medical and Canfield Scientific.